C64 Congo Bongo in 00:29.45 by DrD2k9. Congo Bongo is an isometric platformer released by Sega in 1983 for multiple systems. 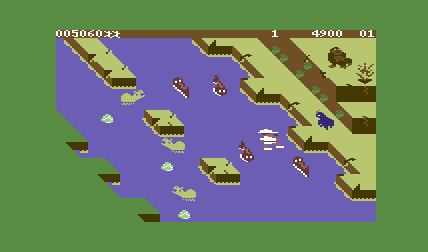 Imagine what would happen if Frogger, Qbert, and Donkey Kong all were mashed together....that's Congo Bongo.